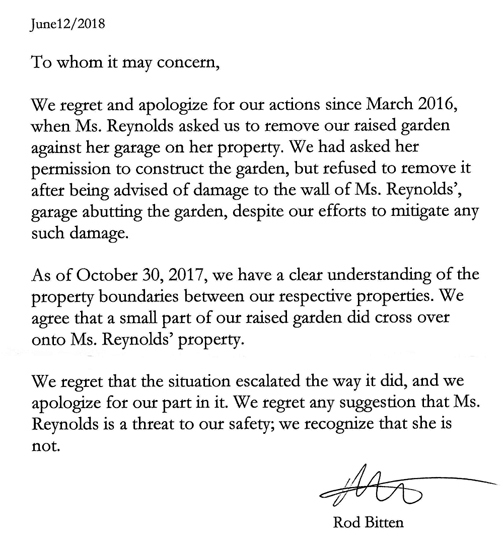 Haraldson caved on the apology letter being mailed out – one defeat after the other because of incompetent/uniformed decisions – resign! 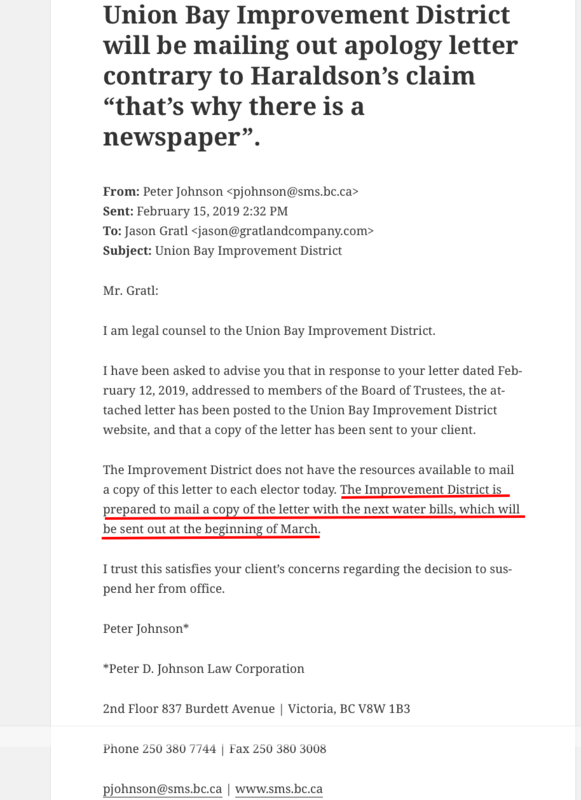 Previous Post Union Bay Improvement District Chair all over the place – “can’t suspend”; “legally, I can have her removed”; suspended her – now admits no authority! Backpedal, backpedal, lock up, cancel meetings – hide! Next Post What’s the story behind the Fire Chief leaving the Union Bay Improvement District?